Esophageal stricture is a major complication of large areas endoscopic submucosal dissection (ESD). Until now, the critical mechanism of esophageal stricture remains unclear. We examined the role of mucosal loss versus submucosal damage in esophageal stricture formation after mucosal resection using a porcine model. Twelve swine were randomly divided into two groups, each of 6. In each group, two 5-cm-long submucosal tunnels were made to involve 1/3rd of the widths of the anterior and posterior esophageal circumference. The entire mucosal roofs of both tunnels were resected in group A. In group B, the tunnel roof mucosa was incised longitudinally along the length of the tunnel, but without excision of any mucosa. Stricture formation was evaluated by endoscopy after 1, 2, and 4 weeks, respectively. Anatomical and histological examinations were performed after euthanasia. Healing observed on endoscopy in both groups after 1 week. Group A (mucosa resected) developed mild-to-severe esophageal stricture, dysphagia, and weight loss. In contrast, no esophageal stricture was evident in group B (mucosa incisions without resection) after 2 and 4 weeks, respectively. Macroscopic examination showed severe esophageal stricture and shortening of esophagus in only group A. Inflammation and fibrous hyperplasia of the submucosal layer was observed on histological examination in both groups. The extent of loss of esophageal mucosa appears to be a critical factor for esophageal stricture. Inflammation followed by fibrosis may contribute to alteration in compliance of the esophagus but is not the main mechanism of postresection stricture. 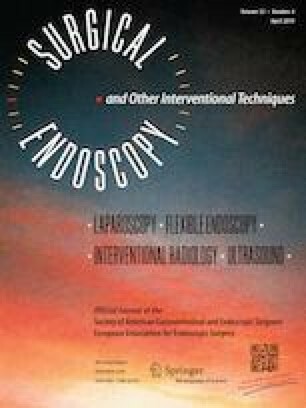 We gratefully acknowledge the critical review of this article by David Y. Graham, MD., Professor of Medicine, Molecular virology and Microbiology, Baylor College of Medicine; and Professor Starvos N. Stavrpoulos, MD., Winthrop University Hospital, Chief of Endoscopy, and Director, program in Advanced GI endoscopy. Study concept and design: B-RL; Acquisition of Data: DL, SU; Manuscript writing: SU; Analysis and interpretation: SU, YZ, LZ, DL, DH; Administrative, technical, or material support: WY, YS, XZ, YC, ZC, DH, YY; Critical revision of the manuscript for important intellectual content: B-RL; Funding obtained: B-RL. Supported by Henan province innovation talents of science and technology plan (No: 184200510020). Drs. Bing-Rong Liu, Dan Liu, Wenyi Yang, Saif Ullah, Zhen Cao, Dezhi He, Xuehui Zhang, Yang Shi, Yangyang Zhou, Yong Chen, Donghai He, Lixia Zhao, Yulian Yuan, and Deliang Li have no conflicts of interests or financial ties to disclose.